Last week, SB showcased a selection of distilleries that are set to tap into the global whisky market in the coming years. As innovation abounds across the sector, we present the second instalment of future whisky brands to watch out for. While Diageo’s Johnnie Walker, Allied Blenders’ Oﬃcer’s Choice and Brown-Formans Jack Daniel’s might be the most popular whisky brands in the world right now – if their volume sales are anything to go by – no-one can be sure what we’ll still be sipping 100 years from now. With this in mind, we’ve compiled a two-part round-up of distilleries both small and large from across the globe that are quietly ageing their new-make spirit with a view to entering the global whisky market in the months or years to come. This list is by no means definitive, and is instead intended to shine a light on a small selection of distilleries from across the globe. Whisky, whisky, everywhere, and not a drop to drink – well, not yet anyway. Click through the following pages to discover our second instalment of future whisky brands to watch out for. Have we missed your favourite newcomer? Let us know in the comments below. I am missing the Ardnamurchan Distillery, founded by the Adelphi Company. France is the main market for scotch whisky and the third for whisky/whiskey. 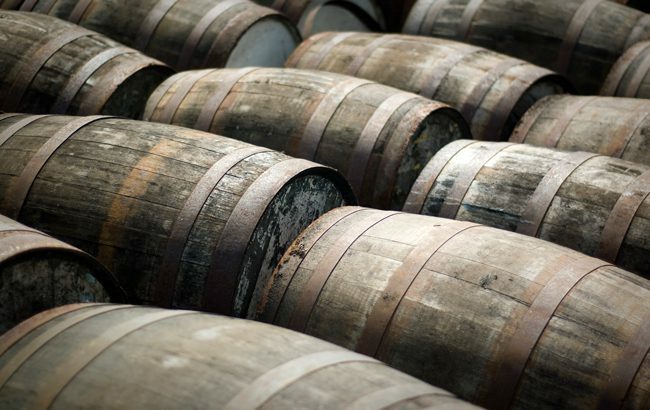 50 whisky distilleries are operating right now in France. They will be 100 in 2020, probably. The sales of french whisky (brewed, fermented, distilled and aged in France) were about 800 000 bottles last year (2016), more or less the same than japanese whisky in France (1 000 000 bottles). It will be 2 000 000 by 2020. Big distilleries just opened (La Mine d’Or in Brittany) or are under construction (Moon Harbour in Bordeaux). In France, we know how to malt (Soufflet and Malteurope are number 1 and 3 in the world for maltings), how to brew (1 000 working breweries here in France), how to distill spirits (2 000 working stills in France, 10 working coppersmith companies), how to age spirits (all the big cooperage companies – except BF, the number one – belong to french companies, even Speyside Cooperage) and how to blend (wine and cognac, for exemple). And we like to drink spirits a lot (460 millions bottles last year, including 200 millions bottles of whisky). The next big thing in the whisky world is french whisky. And the SWA already know that. They put french governement under pressure and single malt is now defined in a law and should be produce like in Scotland. Well played as we french do not want to do whisky like scotch and we do not want to be compared to scotch whiskies. No point for us. But it will not stop the sense of history. French whisky will be massive in the coming years. I’ve been working as the communication manager of La Maison du Whisky between 2005 and 2013 (helping to establish japanese whisky in Europe, organizing Whisky Live Paris) and I am know the director of the Fédération du Whisky de France (which reunites 50 whisky producers/bottlers of french whisky) and it’s the reason why I changed: The future of french whisky is now and tomorrow.